With Pierpaolo Piccioli at the helm of the maison, Valentino has become known, among other things, for the statement beading on its gowns and dresses. Though Piccioli has brought his own approach to the technique to bear, beading has long been a signature of the Valentino brand, with numerous standout examples of beading to be found in the house's archives. 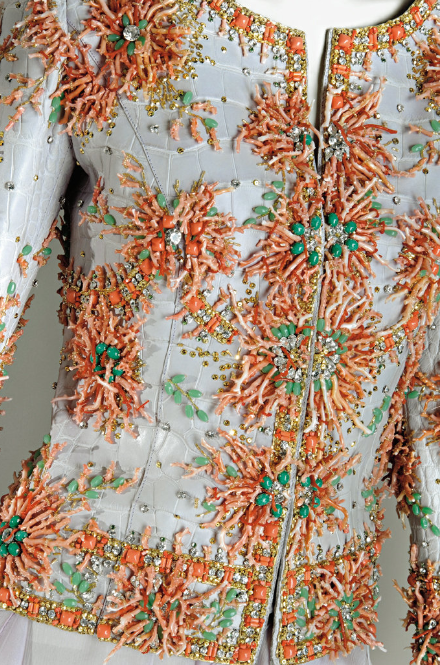 Mr. Valentino's obsession with bead embellishment dates to his very earliest designs. To wit, one of his legendary "dream" dresses—the first he designed under his own name—is a white lace gown with a sash of pink chiffon, illuminated from bust to hem by white and silver beads. 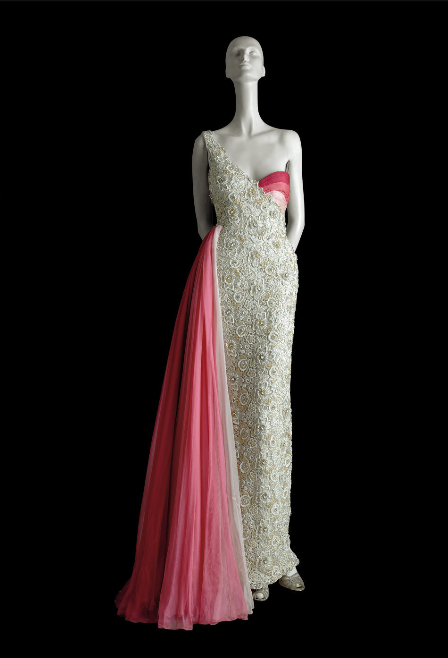 In later years, Mr. Valentino would innovate more approaches to beading, mixing bugle beads with sequins, for instance, to mimic tie-dye in a column gown from his Haute Couture Spring/Summer 1966 collection, using beads as a highlighter, effectively, on the toile de jouy-inspired cut-out embroidery decorating a dramatic black georgette gown from the Haute Couture Spring/Summer 1988, and painting a landscape with beads and rhinestones on a formal top from the Spring/Summer 1989 Haute Couture. And for Mr. Valentino, bead embroidery wasn't just for special occasions. Another of his innovations was to dapple beads on daywear, as he did in a boucle suit from his Haute Couture Fall/Winter 2006/07 collection, to introduce a hint of otherworldly sparkle. That's an idea that Piccioli has seized upon: In the most recent Valentino collection, for the Fall/Winter 2017 Ready-to-Wear, he dazzled numerous of his daywear dresses, and even the occasional piece of outerwear, with bead-embroidered designs. The principle there is one close to Mr. Valentino's heart: Getting dressed should always be a special occasion. Beaded bodices from Haute Couture Spring/ Summer 1989. Haute Couture Spring/ Summer 1988. Photo by David Bailey.